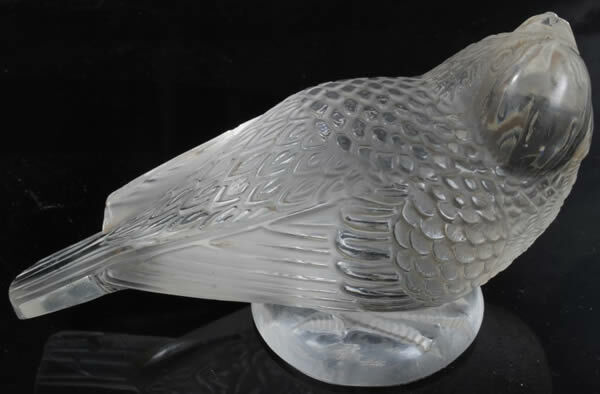 Rene Lalique Paperweight Chardonneret Moqueur: An apparent re-offer from February 12, 2019. Now Lot 88 Est: £40 - £60. 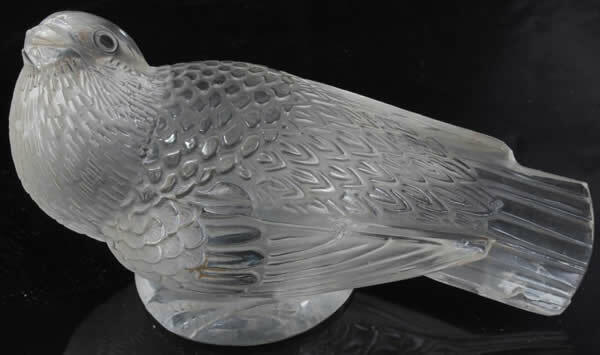 4 inches long single upward looking clear and frosted glass bird R. Lalique Paperweight selling in the same Lot No. 106 with a modern piece and an unrelated item. Est: £60 - £100.